Today (January 16) at noon, UA Little Rock officially cuts the ribbon on the new UA Little Rock Downtown campus in the River Market district. Tonight at 6pm, the Clinton School Speaker Series in conjunction with UA Little Rock presents a panel discussion on the Joe Jones mural, “The Struggle in the South” which is featured in that new space. It will take place in the UA Little Rock Downtown location. In 1935, famed American artist Joe Jones created “The Struggle in the South,” a provocative depiction of Southern sharecroppers, coal miners and a black family in fear of a lynching. Originally painted in the dining hall at Commonwealth College near Mena, Arkansas, this 44-by-9-foot work was recently restored with a $500,000 grant from Arkansas Natural and Cultural Resources Center. During this program, moderator Senator Joyce Elliott will join Brad Cushman, UA Little Rock Department of Art and Design Gallery director and curator; author Guy Lancaster; Dr. Brian Mitchell, UA Little Rock professor of history; Dr. Bobby L. Robert, former UA Little Rock archivist and Central Arkansas Library System executive director; and Taemora Williams, UA Little Rock student, to discuss the artwork’s historical significance and importance of its new home in UA Little Rock Downtown’s reflection room. As curator Brad Cushman said at the unveiling of the Joe Jones mural, “There is absolutely no reason this mural should still exist.” But it does. And now fully restored Jones’s 1935 mural The Struggle in the South is a centerpiece of the new UA Little Rock Downtown Campus in the heart of the River Market. First painted in the 1935 to be placed at Commonwealth College in Mena, it spent many years lining two closets in a house after it had been taken down from its original location. When that house was being torn down, someone called Bobby Roberts because they thought it might be something worth saving. Dr. Roberts drove to west Arkansas, picked it up, and brought it back to Little Rock. For years it sat in storage at UA Little Rock. While that probably stopped its deterioration, it did nothing to restore it. In 2009, the St. Louis Art Museum restored one panel of it to include in an exhibition on Jones, a native of the Gateway City. That prompted Cushman to push even harder to have the rest of it restored. In 2012, the Arkansas Natural and Cultural Resources Council provided a grant which made restoration possible. Additional funding came from the University and the National Endowment for the Humanities. The 29 pieces of the mural were sent to Helen Houp Fine Art Conservation in Dallas. The mural consists of three sections that brutally but honestly tell tales of the South in the first third of the 20th Century. The first section depicts coal miners about to go on strike, the middle section shows a lynching of an African American man, and the third shows an African American family in fear inside a wooden shack – both in the shadow of the lynching and an impending tornado set to destroy the land they are working. It is a difficult piece. It is intended to be disquieting. But UA Little Rock also sought to put the piece in context. They did not do this to explain away or make excuses. But they did it to relate it to events in Little Rock both during that time period and other times in the City’s history. It is designed to encourage dialogue, scholarship, and collaborations. The space in which the mural is displayed was designed by architect Steve Rousseau. Credit goes to the UA Little Rock Board of Visitors, Chancellor Andrew Rogerson, and many other faculty and staff at the campus for making the UA Little Rock Downtown campus a reality and a showcase for this important mural. In January it was announced that the Central Arkansas Library System (CALS) had renamed the Arkansas Studies Institute (ASI) the Bobby L. Roberts Library of Arkansas History and Art in honor of the former CALS executive director who served in the position for more than twenty years before retiring in 2016. Since the early 1990s, CALS has undergone several changes and expansions, now consisting of fourteen library locations in Little Rock, Perryville, and throughout Pulaski County. The Main Library moved from its original location at 7th and Louisiana to its current home in the River Market District, which helped trigger the revitalization of downtown Little Rock. That Main Library is now the centerpiece of a campus that includes the Ron Robinson Theater, the Cox Creative Center, and the Bobby L. Roberts Library of Arkansas History and Art (formerly ASI). Roberts’s efforts in building striking library structures, in ecologically sustainable construction, and in adaptive reuse have been recognized by local, state, national, and international organizations. That includes the newly named Roberts Library. Opened in 2009, as the Arkansas Studies Institute, the structure houses the Butler Center for Arkansas Studies, CALS’s Arkansas history department, and five galleries that feature art depicting the state or created by artists living in or from Arkansas. “This complex of buildings certainly wouldn’t be here if it hadn’t been for Bobby Roberts. It is truly fitting for this edifice to be named in his honor,” said David Stricklin, director of the Butler Center. Roberts’s special interests in Arkansas history and art and CALS’s long-held practice of collecting materials for the benefit of patrons interested in those topics helped inspire the conception of the ASI, which also houses the UA Little Rock Center for Arkansas History and Culture. The university’s Arkansas-related documents and photographs were moved to the facility and are available for public use under an arrangement Roberts developed with former UA Little Rock Chancellor Joel Anderson. The building is also home to the Arkansas Humanities Council’s headquarters and classrooms and offices for the Clinton School of Public Service. Later in the year, CALS rebranded its downtown campus of buildings as Library Square, unveiled a new website, and started a strategic planning process. On September 20, 1997, the Central Arkansas Library System debuted its new main library building. The building had previously been the Fones Brothers Warehouse building and was repurposed by the Polk Stanley Yeary architectural firm. The grand opening festivities included storytellers for children throughout the day as well as various special activities. Linked balloons made to resemble bookworms greeted visitors to the front entrance. The move and expansion were the dream of then-CALS Director Bobby Roberts. The previous library space had limited parking and was in a confined (and confining) space with no room for expansion. To prepare for the move from the old location at 7th and Louisiana Streets, the library’s main branch had closed in July. They had to inventory the existing materials in anticipation of the move. The actual transport of the 250,000 books was accomplished in three 16-hour work days by the 65 member staff. The project cost $13 million dollars, most of which came from a millage approved by voters. The 200 seat auditorium was funded by overdue book fines and areas for the employees were financed by a patron bequest. At the time it opened, the fifth floor remained undeveloped. Since September 1997, the fifth floor has been developed and CALS has ultimately developed over one city block in what is now known as Library Square. The Civil War came to an end for Little Rock 155 years ago today (September 10) as Federal troops took control of the city. Unlike some other Southern capitols, there was no long siege or bloody battle. On September 10, 1863, Confederate forces under General Sterling Price evacuated Little Rock in advance of Federal forces, thus ending the Little Rock Campaign. By 5:00pm, his forces had left the city and at 7:00pm, civil authorities formally surrendered. Little Rock became the fourth Southern capital to come under Federal control. The battle was the culmination of a campaign launched by Maj. Gen. Fred Steele, on August 1, 1863 to capture Little Rock. The campaign includes engagements at Westport, on 14 August, Harrison’s Landing, on 16 August, Brownsville on 25 August, the Reed’s Bridge, on 27 August, and Ashley’s Mills on 7 September 1863. After the Union army affected a river crossing east of Little Rock, effectively flanking the Confederate defenses north of the river, the Confederates staged a brief delaying action at Bayou Fourche to allow for evacuation of Little Rock. City of Little Rock leaders must have been anticipating the result of the battle. In August 1861, they took the City’s treasury to an undisclosed location and started scaling back on City government. The Battle of Little Rock is also known as the Battle of Bayou Fourche. The Central Arkansas Library System (CALS) has renamed the Arkansas Studies Institute (ASI) the Bobby L. Roberts Library of Arkansas History and Art in honor of the former CALS executive director who served in the position for more than twenty years before retiring in 2016. CALS Board of Trustees approved the motion in December. 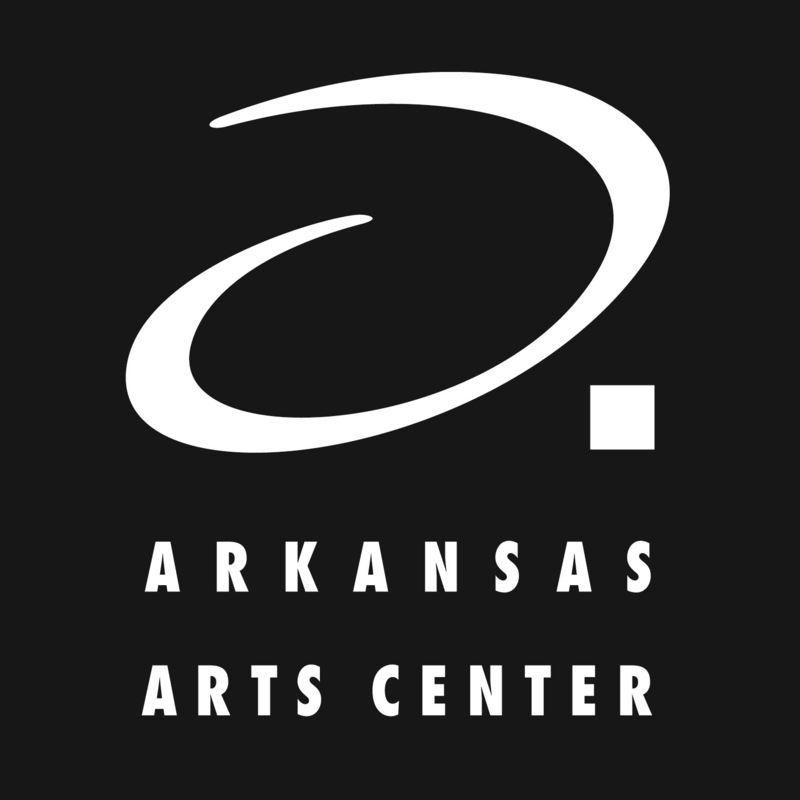 The Arkansas Arts Center (AAC) announced on Tuesday the selection of Studio Gang as design architect for its upcoming building project. The five firms selected as finalists were Allied Works (Portland, Ore./New York), Shigeru Ban (New York/Paris/Tokyo, Japan), Studio Gang (Chicago/New York), Thomas Phifer (New York) and Snohetta (Oslo, Norway/New York/San Francisco). Herman said the selection committee felt Studio Gang was the best fit for the project, due to the firm’s elegant and smart approach to architecture, their understanding of the issues posed by the AAC’s current facility, their vision for the center as a cultural beacon for Central Arkansas and their commitment to sustainability and strength as urban planners. Founded by MacArthur Fellow Jeanne Gang, Studio Gang is an award-winning architecture and urbanism practice based out of Chicago and New York. A recipient of the 2013 National Design Award, Jeanne Gang was also named the 2016 Archiitect of the Year by the Architectural Review and the firm was awarded the 2016 Architizer A+ award for Firm of the Year. Studio Gang is recognized internationally for a design process that foregrounds the relationships between individuals, communities and environments. The firm has extensive knowledge in museum, theatre and artist studio spaces, with projects ranging from the Writers Theatre in Glencoe, Ill. to the Aqua Tower in Chicago to the expansion of the American Museum of Natural History in New York. An RFQ for a local architect to collaborate on the project will be issued later this month. Herman said he is looking at the project holistically, including Historic MacArthur Park, and reevaluating how the Arts Center meets the needs of its community. The five finalists presented their firm’s general project approach and design philosophies to the selection committee on November 1, 2016. The presentations took place in the AAC lower lobby lecture hall and were open for public viewing. More than 100 people were in attendance at the presentations, including students, community members and media. The committee determined their selection at a public meeting on December 6, 2016. The selection committee included: AAC Executive Director Todd Herman; City Director Dean Kumpuris; Director of Little Rock Parks and Recreation Truman Tolefree; AAC Board Chair Mary Ellen Irons; AAC Board members Isabel Anthony, Van Tilbury and Chucki Bradbury; AAC Foundation Chair Bobby Tucker; Little Rock Small Business Development official Chauncey Holloman; and past Director of the Central Arkansas Library System Bobby Roberts. A technical review panel was responsible for reviewing all proposals and recommending a slate of finalists to the selection committee, based on specialized criteria outlined in an RFQ that reflected the specific needs and goals of the AAC. The technical review panel included: AAC Executive Director Todd Herman, AAC Chief Curator Brian Lang, Architect Ken Sims, Dean of the Fay Jones School of Architecture Peter MacKeith, Chair of the AAC Buildings and Grounds Committee Kaki Hockersmith and international museum consultant Deborah Frieden. The leadership phase of a capital campaign to maximize the impact of public dollars dedicated to the project is currently underway.